Are You Ready for Thanksgiving Weekend? Now that Halloween is behind us the holiday season is officially underway with decorations popping up everywhere you look. The National Retail Federation is forecasting a $630 billion season ahead for retailers, with consumers planning to spend an average $805 each on holiday merchandise. The first holiday of the season coming up is the big Thanksgiving weekend. Thanksgiving will fall on Thursday 26th November this year, followed by Black Friday on the 27th November and Cyber Monday on Monday 30th November. An estimated 134 million people shopped in stores and on-line over Thanksgiving weekend last year. Don’t be put off by Black Friday, millions of Americans still want to shop on the day after Thanksgiving with many stores having weekend-long sales. Self-gifting is also a big part of the holiday period with 77% of holiday shoppers buying a non-gift item over the Thanksgiving weekend last year. Competition increases every holiday season so price is important, however you should also consider options that save time and provide value for customers. You may want to add a free gift with each purchase to reward bargain hunters and loyal customers. Another great service is to offer complementary gift wrapping to save shoppers time and make that purchase easier. 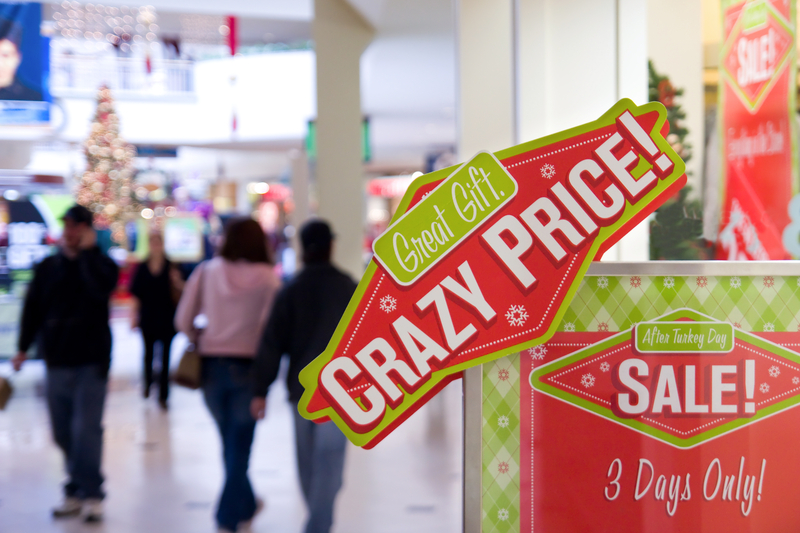 Many stores will also display sale signs for the weekend and have special offers and lower prices on some goods. Don’t miss out, it is not too late to book your pop-up space now and make the most of this selling opportunity! CasualLease.com has many properties available for short-term lease in your area. Find and book your specialty leasing on-line today at CasualLease.com. Should You Use a Pop-up Shop?